Around this time every year, the Electronic Entertainment Expo brings some huge gaming announcements, trailers and gameplay footage, and E3 2016 is no exception. Among the exciting upcoming titles showcased during Sony's press conference is the first official confirmation of a new God of War game, as well as 10 minutes of gameplay footage from the next entry in the hugely popular action fantasy game series. Notably, the game appears to be titled simply God of War as opposed to God of War 4, despite the fact that it's the fourth entry in the series. This may be an indication that developer Santa Monica Studios has designed this new instalment as a soft reboot (or, as Kratos describes it, "a new beginning"); it has, after all, been six years since God of War 3 was released, and reboots with the same title as the original game are growing increasingly popular among publishers. As part of this revamped take on the God of War series, Kratos - who originally became the God of War after defeating his predecessor, Ares - has apparently moved on to the Norse gods and more frosty environs. Interestingly, it seems as though the game might be something of a passing of the torch, as the player can be seen acquiring skills as Kratos and his son hunt the deer. Though it's possible that Kratos is acquiring skills, the fact that he's mentoring the boy indicates that this may be the character that players take control of - at least for portions of the game. While long-time fans of the God of War series may be wary of some of the apparent changes - particularly the new camera angle - most are probably just glad to see this series continued in some form. 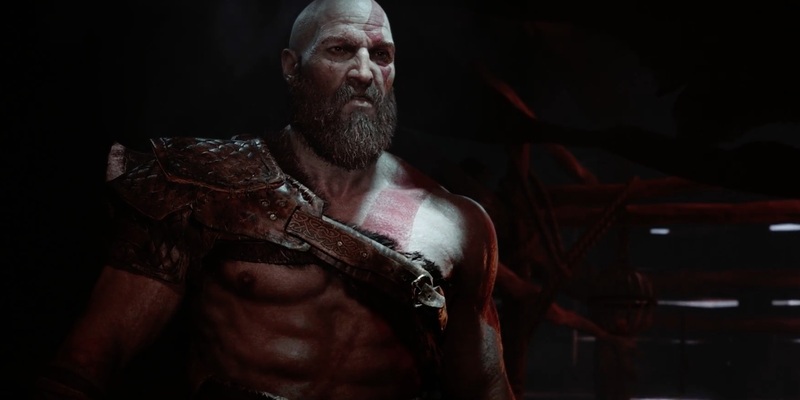 The gameplay showcased in this early footage isn't all that unique among the abundant over-the-shoulder action games on offer, but this new God of War could mark an exciting new chapter in Kratos' story. We'll keep you updated on God of War 4 as more information becomes available.